Earlier this year, Snapchat launched their Birthday Party feature on iOS and Android apps. 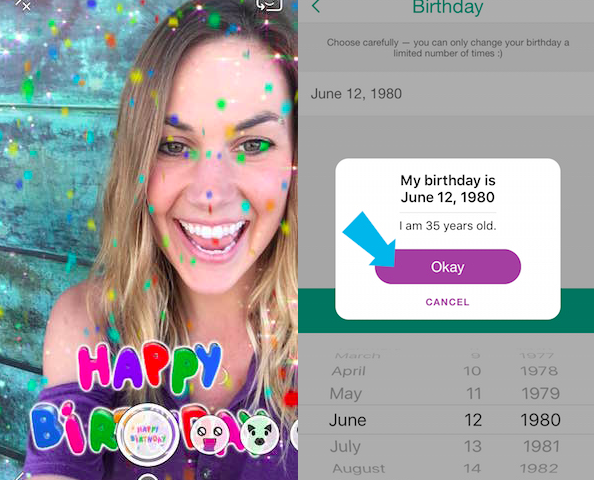 The feature allows users celebrate their birthday with the Snapchat birthday cake and free decorative geofilters. 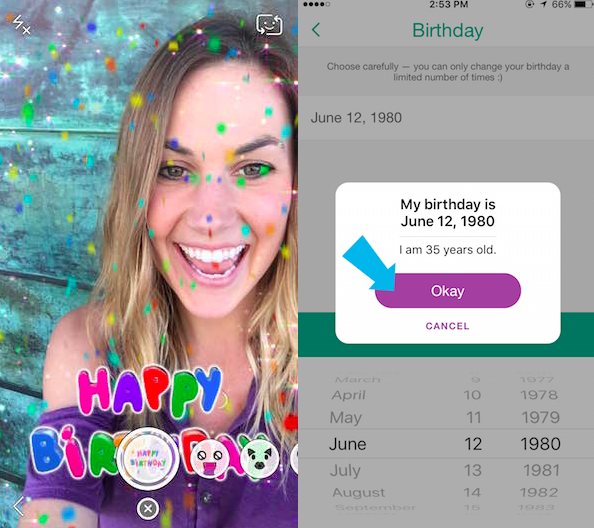 To access the features, turn on Birthday Party in your Snapchat settings. Also, make sure your birthday is set correctly when you set up your Snapchat profile. The app will give people new geofilters: one that shows up on your own birthday, and a shot of confetti that shows when snaps are sent to people on their birthdays. Snapchat will put the Snapchat birthday cake emoji next to your friends’ usernames on their birthdays and instruct you to “double tap to birthday snap”. Double-tapping will activate the Snapchat birthday filter that you can use in a snap to the birthday-haver (pictured below). Double-tapping will activate a filter that you can use in a snap to the birthday celebrant. The image below shows the Snapchat birthday filter. If you are looking for a way to celebrate your birthday or a gift for a friend, you can have your very own custom Snapchat filter made! The Snapchat birthday filter will be available to everyone at the party. It’s a great way to add a special touch to the event! You just need to tell us what you would like the filter to say, any specific colors or a theme to follow etc. and we will create some designs for you. Really miss the puking rainbow or demon lenses? Though Snapchat swaps in new lenses each day, you can revert to previous ones that have disappeared by changing the date in your device’s main settings. Then, choose the date that offered the lenses you want to use again (if you want a look at the first batch, go back to Sept. 15, 2015, the day of the update). 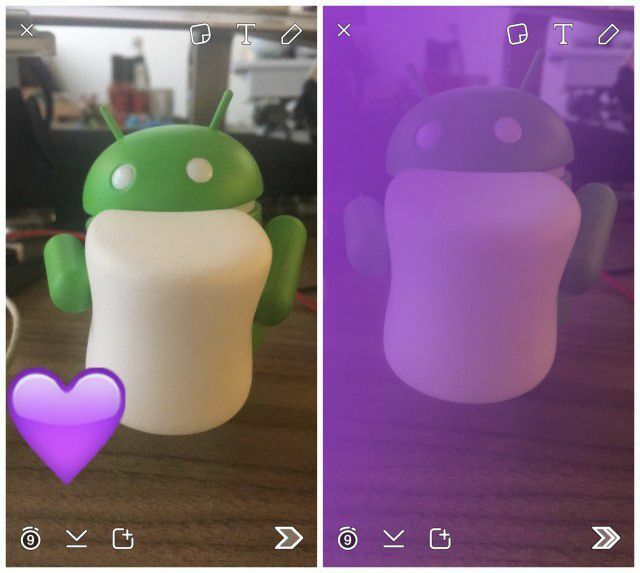 You can use the app’s emoji stickers to add some colour to your snaps. Choose one with the desired color and increase its size, so it takes up the whole screen and the edges begin to pixelate. Then, drag the pixelated area over the frame to make it look like a Snapchat filter. Friend emojis are a fun look at how you interact with your contacts on Snapchat. Hidden in the app’s “additional services” menu within the settings, you can find everything you need to know about this feature as well as the option to customize what each emoji represents.